Monday’s ad is for Miller Brewing, from 1905. This ad show the cork being popped on a Miller High Life bottle and their Girl in the Moon flying out of the bottle. I don’t know how much you have to drink before this happens when you open a bottle of beer, but I aim to find out. Happy New Year! In the 1830s, a railway line, of the London and Birmingham Railway, was built, which passed near the town. Since it used shallow gradients, a cutting was created through chalk hills near Tring between 1834 and 1837. The cutting was the largest created at that time, being 4 km long and 12 m deep. It was mostly dug manually. 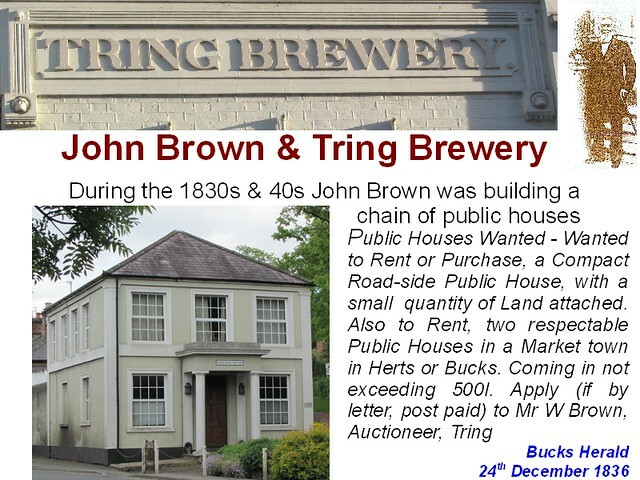 The navvies employed in its construction provided business for breweries in Tring, including that of John Brown. 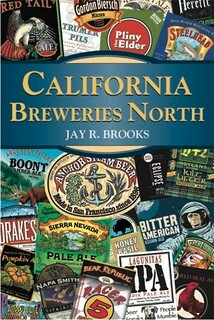 During the 1830s he built several pubs in the area, which had a distinctive architectural style. In Tring, these included the Britannia (the present Norfolk House) and the King’s Arms. 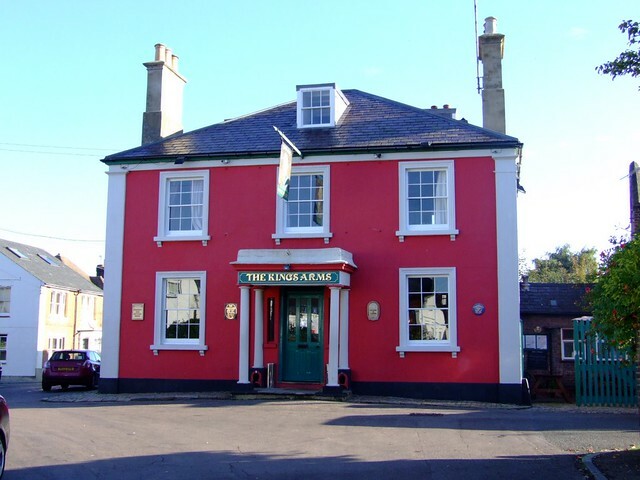 The King’s Arms is away from the town centre: John Brown expected that the town would expand with the coming of the railway, and that the pub would be in a busy area; however, the expansion did not happen as he expected. Another of his buildings is near to the railway station about two miles from Tring; it was built in 1838 under arrangement with the London and Birmingham Railway Company. Its name was originally the Harcourt Arms, after the Harcourt family who owned Pendley Manor; it was renamed, some time between 1845 and 1851, the Royal Hotel. In 1851 John was a farmer and a wine and spirit merchant, as well as a brewer; in 1881 he was employing nine men at the brewery. In later years the brewery was run by John’s son John Herbert Brown; he and his brother Frederick William took over when John died in 1890. However, John Herbert died in 1896, and in 1898 Frederick William sold the brewery, with nine freehold public houses, to Locke and Smith of Berkhamsted. The King’s Arms was built in the early nineteenth century around 1830, for John Brown’s Tring Brewery (still highly visible but now a High St. stationer’s). When built, the the pub’s land included the top end of Charles St. (which was a dead end) and the pub’s orchard was where the two bungalows ‘Cosy Corner’ and ‘Corners’ now stand. Brown’s distinctive architectural style was used on a number of other pubs in and around Tring as he expanded his estate. The ‘KA’ as it is known by regulars, has always been a pub, and internally in layout has not changed greatly in the last 180 odd years. Brown built grandly beside what was then the main London to Aylesbury road, catering initially for the army of navvies employed in building the railway, and in the expectation that expansion of the town would follow its completion. 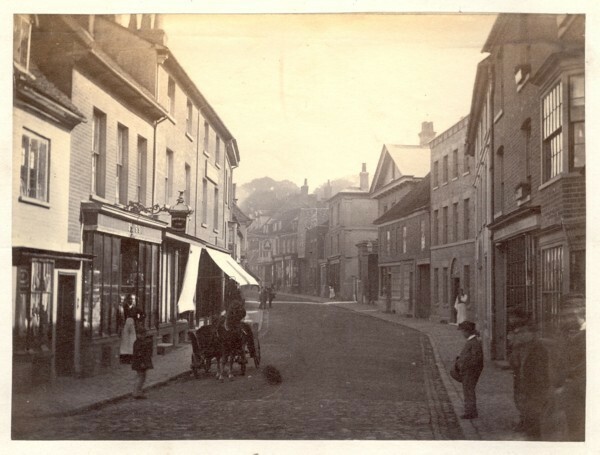 As things turned out, the expected boom failed to materialise and the town centre grew slowly elsewhere, taking the main road along what became Western Road and the High Street. This left the pub rather isolated; later it became surrounded with the houses, shops and workshops that is now known as the ‘Tring Triangle’. At some time during the second half of the 19th century the range of stables and warehousing that bound the garden were built (presumably by the Brewery for general commercial use). 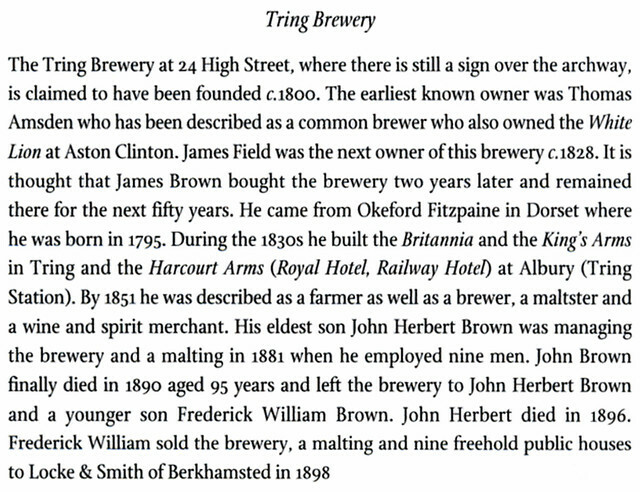 This is an excerpt from “Brewers in Hertfordshire” by Allan Whitaker, about the Tring Brewery. 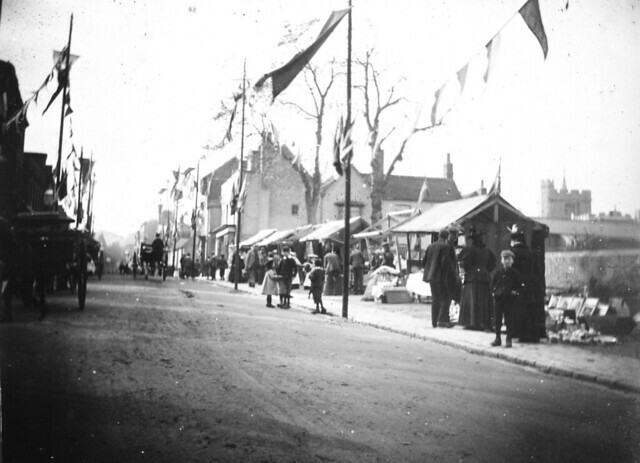 Market Day in the lower High Street in 1897. 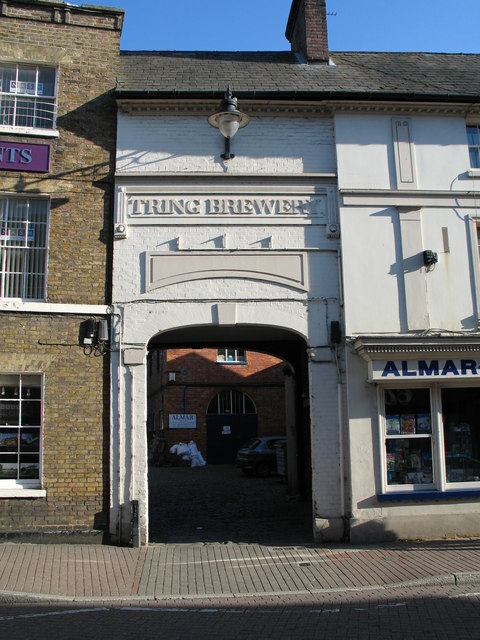 In 1992, a new Tring Brewery opened, though it has nothing to do with the original brewery or the family of John Brown. 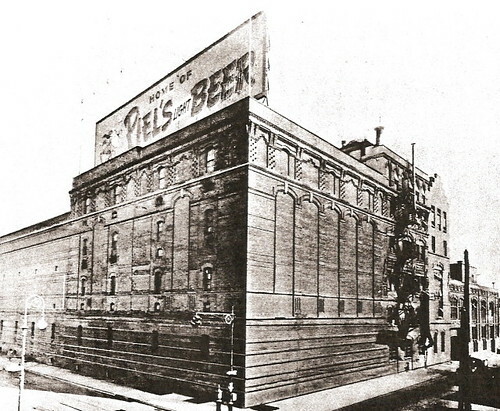 Today is the birthday of Gottfried Piel (December 31, 1852-May 1, 1935) who along with his brothers Michael and Wilhelm Piel founded Piel Bros. Beer in New York, more commonly known as Piels Beer in 1883. 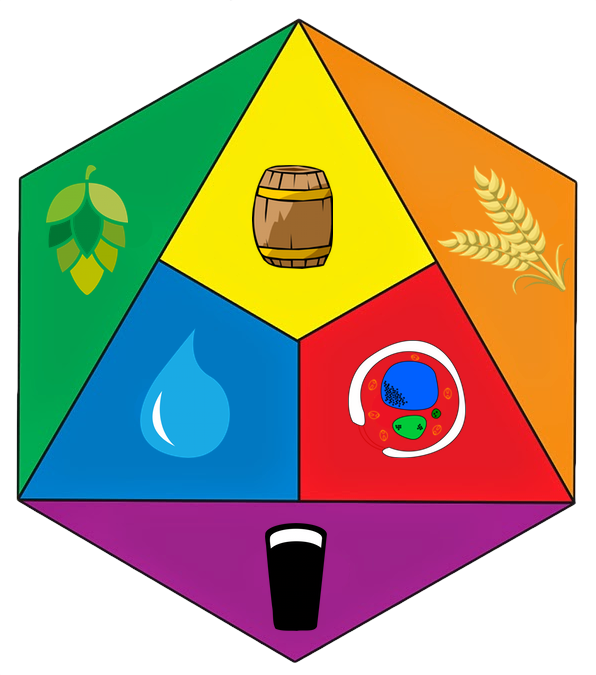 Gottfried Piel was more on the business side among his brothers, whereas his older brother Michael was the brewer. 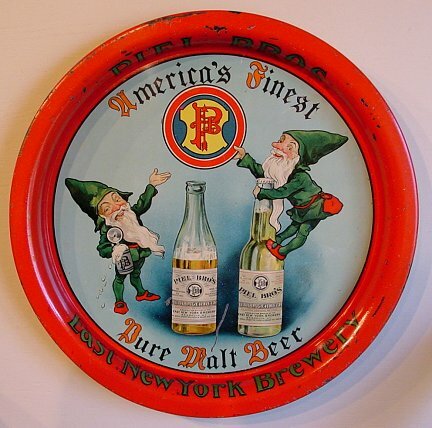 Gottfried Piel was the founder of the Piel Brothers Brewing Company of Brooklyn, New York. 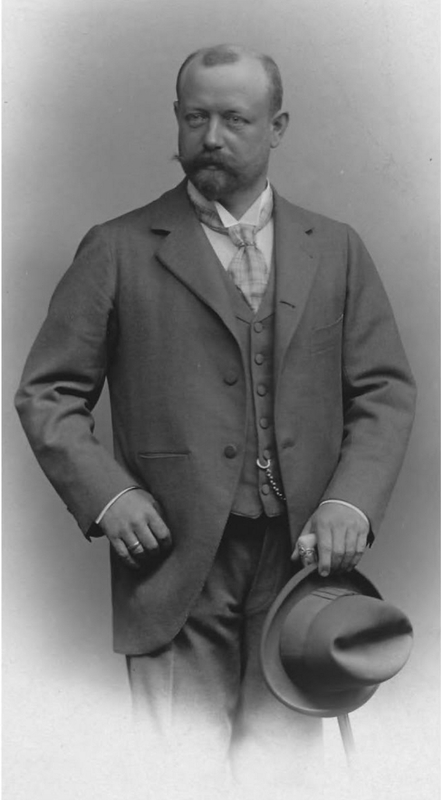 Piel left his home in Dusseldorf, Germany in 1882 at the age of 29 to emigrate to the United States. 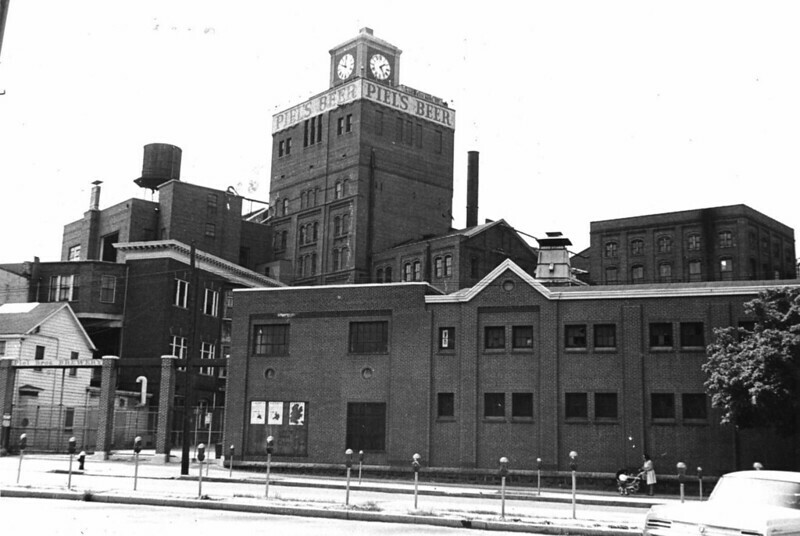 In 1883 he convinced his brothers Michael and Wilhelm to join him in the purchase of the Landzer Brewery. 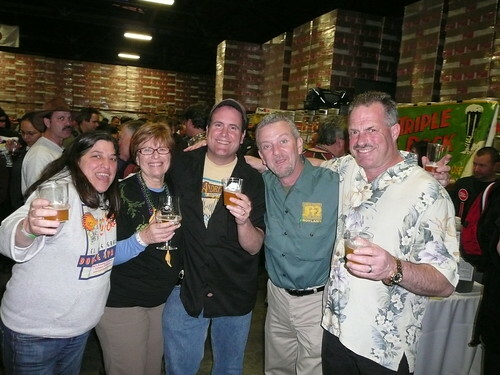 Piel’s first year beer production was 850 barrels and in ensuing years, Piel Bros. continue to grow rapidly. 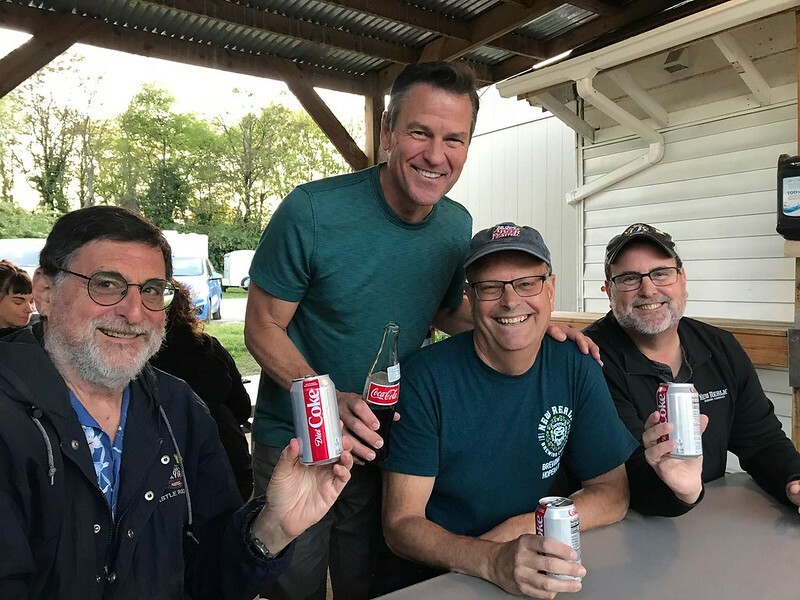 It became a Brooklyn tradition and, although the brewery closed after some rough years in the 1960s and 1970s, the brand name is still in use. 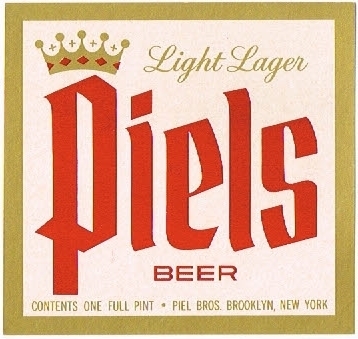 The Piel name was purchased by the Schaefer Brewing Company in 1973. Gottfried Piel died in 1935 and his corkscrew was left to his daughter Sophia, widow of Pinckney and wife of Peter William Dawson. The corkscrew passed to Peter William Dawson upon the death of Sophia. 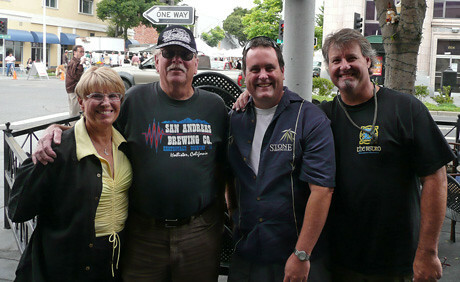 In 1980 Dawson died and the corkscrew passed to his nephew Jim Lowry. 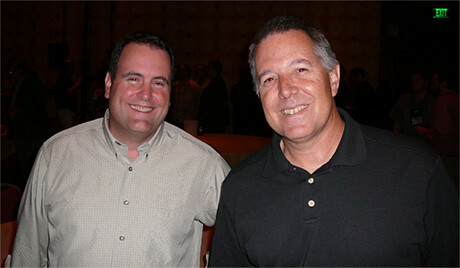 Jim Lowry sold the corkscrew to Don Bull. PIEL, Michael, brewer, b. in Stoffeln, Düsseldorf am Rhein, Germany, 29 March, 1849; d. at Lake Parlin, Me., 12 June, 1915, son of Heinrich Hubert and Gertrud (Gispé) Piel. He was descended from an old Rhenish stock of farmers of singular attachment, whose members successively aimed to expand their patrimony of tillable lands. To the original and extensive Stoffeln Farm his father and uncles added the great Mörsenbroich-Düsseldorf tillages, which now border the residential section of the Lower Rhenish financial capitol. 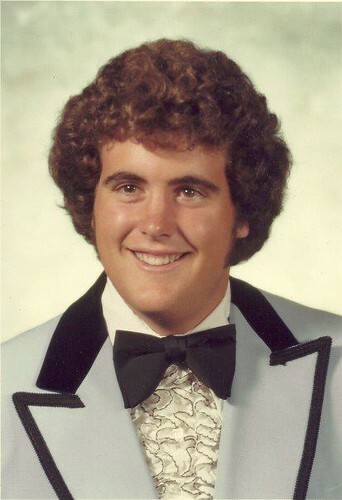 Michael was born in an environment of industry, thrift, and enterprise. His early youth was devoted to the farm at Mörsenbroich-Düsseldorf. At the age of eighteen, he began his military service in the Kaiser Alexander II Regiment of the Imperial Guards at Berlin. The Franco-Prussian War of 1870-71 broke out just as he had completed this duty. As he was not, therefore, subject to the call of the Fatherland, his family sought to hold him back. He promptly volunteered, however, and served throughout the war, participating with his regiment in several engagements, the battle of Gravelotte and the siege of Paris. The impressions on the country boy of his years of service at Berlin, which had already begun to modernize its industries, lingered and served constantly to stimulate his natural gifts of invention. While for several years after the war, true to the family tradition, he worked at Mörsenbroich with his elder brother, he continually sought expression for his native talents. The arduous discipline of farm-labor from sun-up to sun-down, — valuable preparation though it was for the early trials of his later life career — could not check his inventive spirit. Gradually, making the most of his opportunities on the farm, his successes won him away from the family calling. In the creation of new rose-cultures and, particularly, in the perfection of a new and highly productive breed of bees, for both of which, after but two years of experimentation, he was voted the government’s highest awards, he found the encouragement he needed for the growing determination to carve out his own future. It was, however, his invention of a centrifuge for the extraction of honey, awarded special governmental recognition and immediately adopted into general use, that decided him. 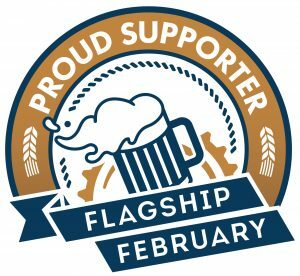 As the protégé of a machine manufacturer, he visited the industrial centers of the progressive Rhineland and soon chose the ancient German industry of brewing as the one offering the best opportunity for his talent of applying machinery to natural processes. He found a fertile field. The new science of modern refrigeration had just come into practice, and the suggestions which it offered in his chosen field fascinated him. He began his novitiate in the old-style subterranean cellars at the breweries of Dortmund, Westphalia. 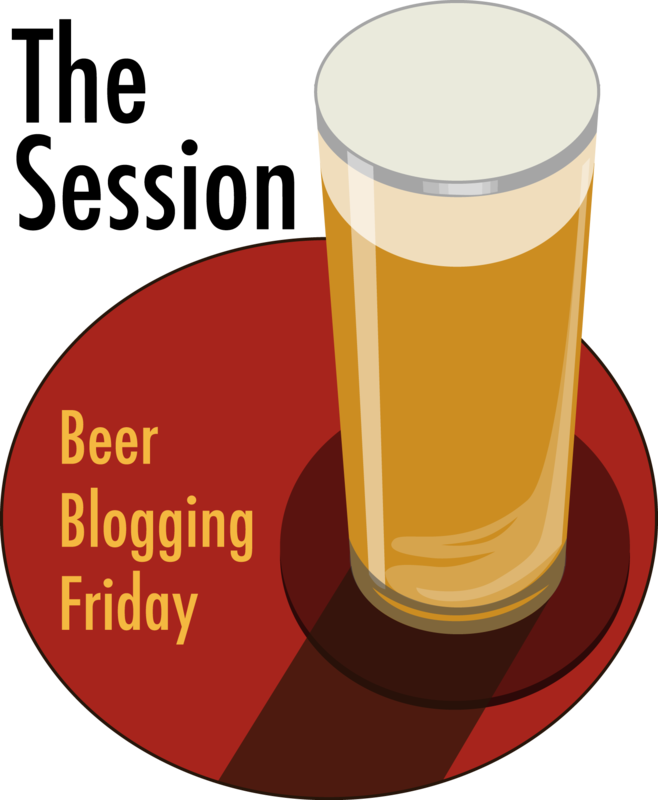 In 1883, his apprenticeship ended, he welcomed the call of a younger brother, Gottfried, then already established as an export merchant in New York, to found with him in East New York, at its present site, a typically German brewery, to be conceived on modern and scientific principles. 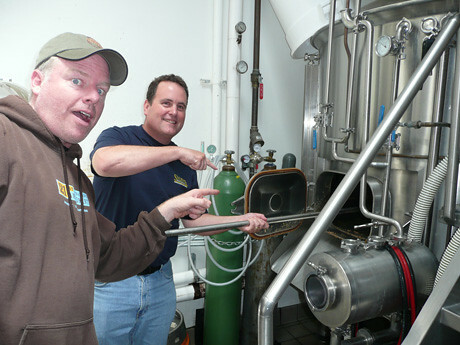 The brothers, as a partnership, secured title to a small old-style brewing plant, then in disuse, and found the problem to convert it to newer ideas a fight against tremendous odds. 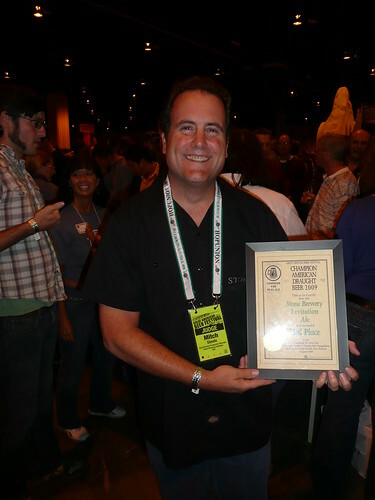 At the outset, Michael was its brewer, superintendent, and engineer, his accumulated experience fitting him admirably for the multiplicity of his duties. In the early days of the converted plant, Michael found that his hours were from four o’clock in the morning till ten at night. At last, in 1888, the ability of his brother as the financial head of the firm and the excellence of his own products assured success and the long struggle was won. The country which had offered him his opportunity for success he gladly and promptly adopted as his own, being admitted to citizenship in 1888. 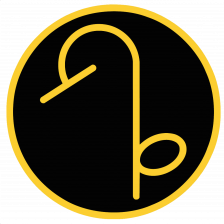 The enterprise prospered and the partnership became a corporation in 1898, with an established business of national reputation.